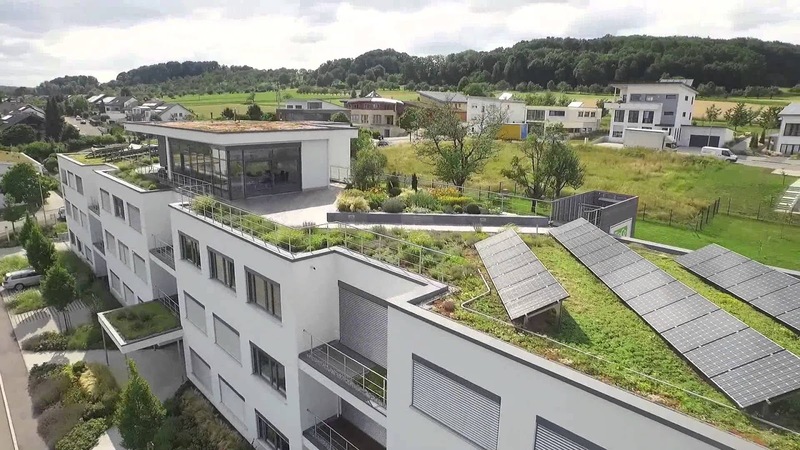 Green Roofs (roofs with a vegetated surface and substrate) provide ecosystem services in urban areas, including improved storm-water management, better regulation of building temperatures, reduced urban heat-island effects, and increased urban wildlife habitat. Storm Water Management and Water Retention since Green roofs can help with controlling the stormwater runoff which is a major problem in many cities. They have the ability to retain water at a rate of 50-90% depending on the design of the roofs. Improvement of Micro-climate as rainwater evaporates, it humidifies the air above it, making the air cooler. This reduces the ambient temperature of the air above rooftops, improving the micro-climate. Since the rooftop becomes cooler, the efficiency of the building’s AC units is improved. Dust and Toxic Particles Binder where air pollution is a common phenomenon in all major cities. Green roofs can play a vital role in filtering the air pollutants, improving the quality of air. When the air flows, the foliar surface of green roof reduces the speed of air flowing above it. This filters 10-20% of dust particles from the air, thus, helping to purify the air. Protection from Noise Pollution as green roofs can be of great advantage when it comes to noise pollution. Urban areas are mostly subjected to sources of loud sounds and noises particularly because of buildings being located under flight paths, adjacent to nightclubs, markets, malls, and fairs and so on.